Physical activity offers an effective, nonpharmacological means to improve the health of older adults, including those with arthritis. Clinical practice guidelines identify a substantial therapeutic role for physical activity in osteoarthritis and rheumatoid arthritis. 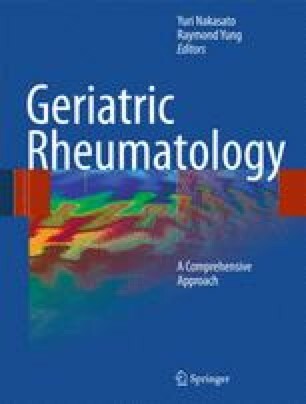 For older adults, including those with arthritis, regular physical activity ­counteracts the reduction in fitness, stamina, and loss of muscle strength associated with aging, prevents the ­development of physical limitations, and can reduce falls and reduce the risk of developing many chronic conditions. Evidence from randomized clinical trials in patients with osteoarthritis (OA) and rheumatoid arthritis (RA) supports both muscle strengthening exercise and aerobic activity to improve function and relieve joint symptoms, including pain. These have led to recommendations for older adults both with and without arthritis that encourage physical activity. Despite the documented benefits of physical activity, persons with arthritis are generally not physically active, and their physicians often do not encourage them to engage in regular physical activity. In order to help overcome these challenges, physician assessment and promotion of physical activity should be a key component of disease management for arthritis patients.